Las Vegas is a city that knows how to throw a party. Bars and restaurants are preparing for weeks of festive holidays promotions, company holiday parties, and an influx of visitors. With everyone getting revved up for the big holiday parties, what does that mean to you as a TAM® Card holder? You need to be prepared. Be extra vigilant in checking identification and observing guests. Also, make sure your TAM® Card isn’t about to expire. If you need to renew your card prior to the start of the New Year, check out our holiday schedule below to find a class that works for your schedule. Don’t delay; make sure you are able to obtain your card in time. Remember, we also offer exam proctoring for online students six days a week. Wednesday 12/18 – Last Mesquite class of 2013 will be held at the Virgin River Hotel Casino at 8:00am. Thursday 12/19 – Open 8:30am-5:00pm. Last Spanish class of 2013 will be held at 9:00am. Tuesday 12/24 and Wednesday 12/25 – CLOSED. Thursday 12/26 – Open 8:30am-5:00pm. Class at 9:00am only. Friday 12/27– Open 8:30am-5:00pm. Classes at 9:00am and 2:00pm. Saturday 12/28 – Open 8:30am-5:00pm. Class at 9:00am only. Monday 12/30 – Open 8:30am-5:00pm. Classes at 9:00am and 2:00pm. Tuesday 12/31 – Open 8:30am-5:00pm. Open lab day. Wednesday 1/1 and Thursday 1/2 –CLOSED. We will reopen for normal business hours beginning Friday, January 3rd at 8:30am. 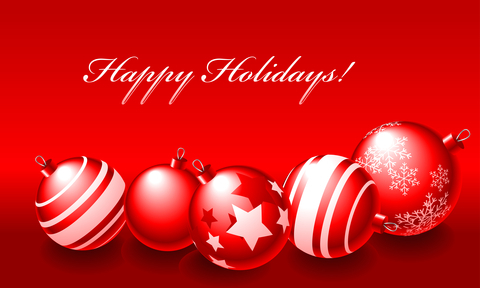 TAM® of Nevada wants to wish all of our students a safe and happy holiday season and New Year! Next It’s Seattle Seahawks vs. Denver Broncos. What Are Your Plans for Super Bowl Sunday?